Ice Breakers and Fun Group Activities, the entire group stand in a circle and are challenged with fun group activities. Thereafter the group are divided into teams of about 10. Amazing Race Imagination, teams have to take group selfies of abstract backgrounds, such as Donald Trump, dinosaurs, or Cinderella. 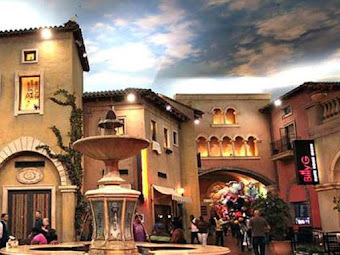 The Menlyn Maine Shopping Mall is renowned for its art and abstract sculptures. Lunch at Mythos, it is Greek tradition to share from the many platters on the table. Lunch Platters to Share at Mythos include Greek Salad, Pita and Dip (Hummus, Tzatziki, etc), Beef, Chicken, or Haloumi Yiro (Wrapp), Keftedes (meatballs), Biftekia (mince beef patties), Piatakia (thin lamb chops), Papoutsakia (eggplant filled with mince and topped with feta and Bechamel Sauce), Chicken Wings, & Chips.